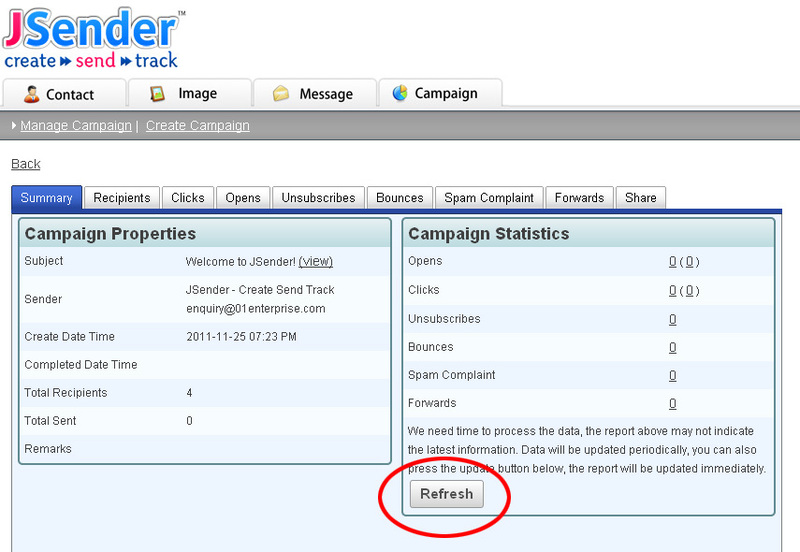 JSender is the next generation email marketing system. This is the official blog of JSender, we would like to listen to your voice as well as sharing our Internet marketing experience to all of you. Our system gets event every second. When somebody opens the email, clicks the link, downloads the images from our server, our system would getting event. The events may trigger to update our user data, such as how many recipients opened the email in the campaign. It is a heavy task to update these information into our database in real time. So, frankly, the campaign report you are viewing may not be the latest information, it reflects the actual information but just getting a little bit delay. The report would be updated periodically, so it would eventually reflect the final information.